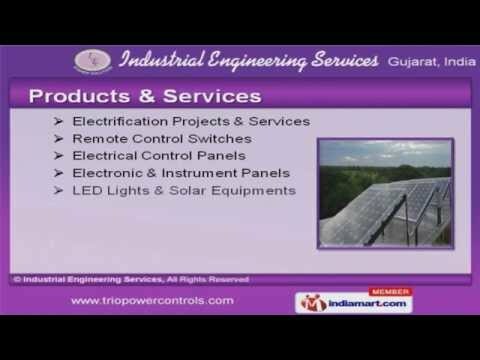 Welcome to Industrial Engineering Services Manufacturer & Service Provider of Electrical Control Panels and Products. The company was incorporated in 1993, at Surat. Our Skilled & experienced manpowerhelp us to cater Indian Subcontinent. State Bank of India & ONGC Ltd. are some of our prestigious clients and we are backed by Continuous innovation & improvement. LED Lights, Electronic & Instrument Panels are some of our Products & Services. Our Electrification Projects & Services are best in the industry amongst others. Remote Control Switches offered by us are available at industry leading prices. Our Electrical Control Panels are superior in performance. We also provide Electronic & Instrument Panels that are a class apart. Along with that we offer LED Light & Solar Equipments that are widely acclaimed in themarket.